The new pavement surface on Linden Road. The pavements of Linden Road, Alandale Road and The Lawns (Windemere Road) are to get the resurfacing treatment in the upcoming weeks thanks to the work of ward Councillors Ashley, Paul and Eileen. The roads have been victims of wear and tear in recent years and this has not gone unnoticed by the Councillors on there visits. 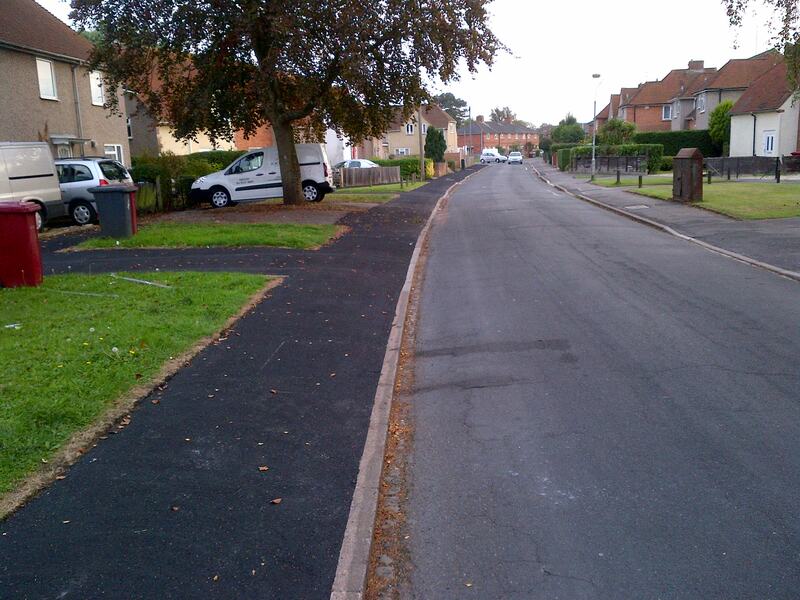 The Councillors furthered the case for these pavements to be resurfaced to Council officers. A total of 33 pavements on residential streets across Reading are being resurfaced over the coming weeks, signalling an investment of £102,000 by the Council. Preparation work in advance of the main resurfacing work has already begun, with the resurfacing of pavements beginning on Monday Sept 22nd. The programmed improvement work will run over a 4 week period. Letters will be delivered to local residents living in the 33 streets before resurfacing is due to start on their pavements. Advanced warning signs will also go up before works start. 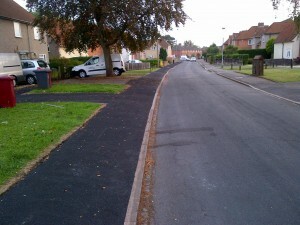 “The Council has just resurfaced 19 main roads and 27 residential roads as part of our annual summer programme. That was a £1.38 million investment to benefit all road users in Reading. The resurfacing of pavements in residential streets is also a major piece of work the Council is carrying out to benefit all pedestrians, and of course local residents who live in those streets. This entry was posted in Ward News and tagged Resurfacing on September 23, 2014 by Ashley Pearce.